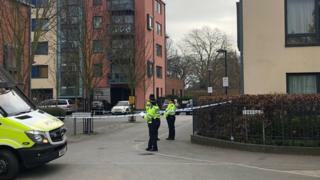 Det Ch Insp Richard Leonard, who is leading the investigation, said: "Our enquiries have established that the victim was in Syon Park close to the flats with a group of other people. "A vehicle pulled up and a group of males got out. They chased the victim and attacked him in Union Lane."